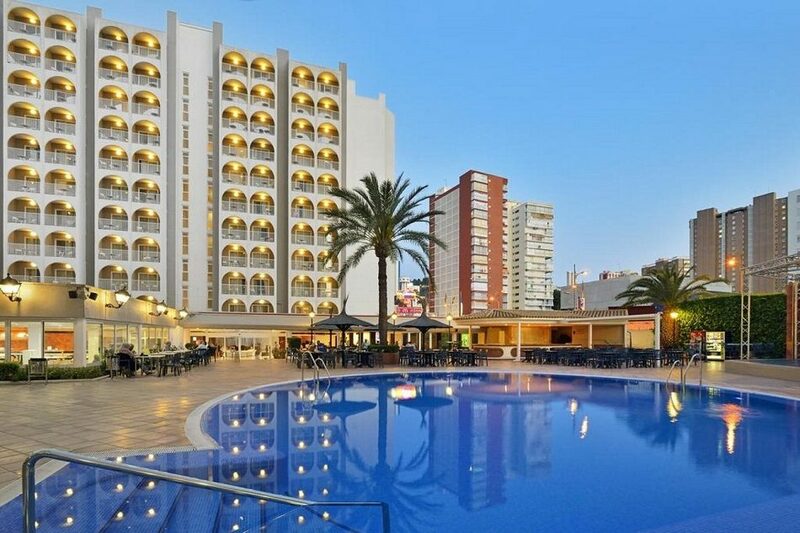 The Sol Pelicanos Ocas Hotel is located in the Levante area of Benidorm, with Levante Beach just a 300m walk away. 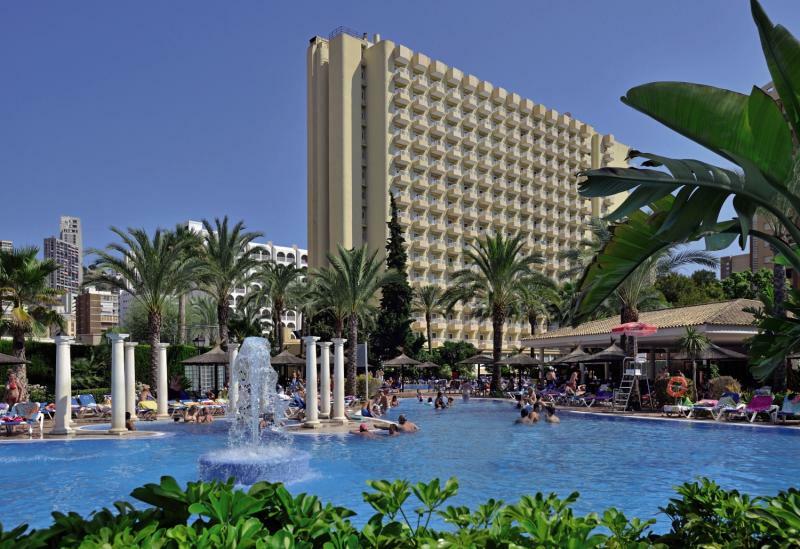 This bustling hotel complex is the setting for the popular "Benidorm" TV programme. 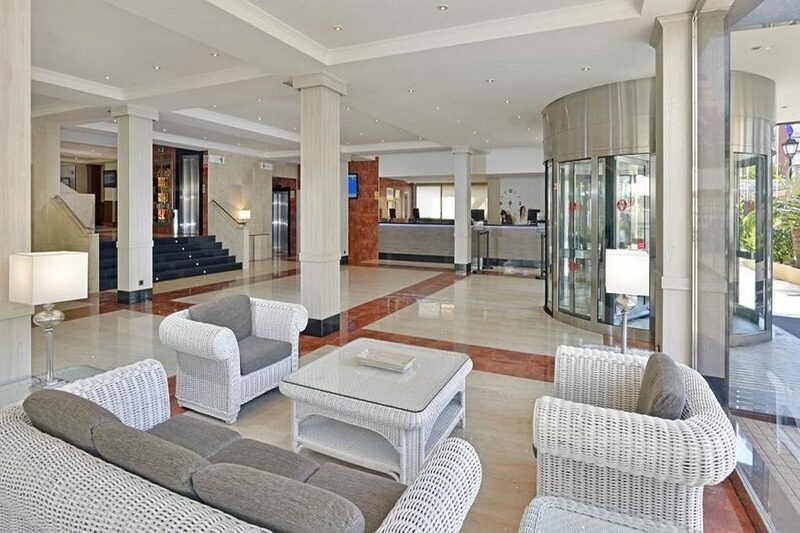 Accommodation is spread over two buildings: the 15 storey Pelicanos and the 11 storey Ocas, each with their own reception, restaurants and entertainment areas. Relax in the sunshine by the lagoon style pool at the centre of the complex. The children will enjoy their own Flintstone-inspired Kids Club, pools and playground. The modern, well equipped rooms are perfect to relax in. 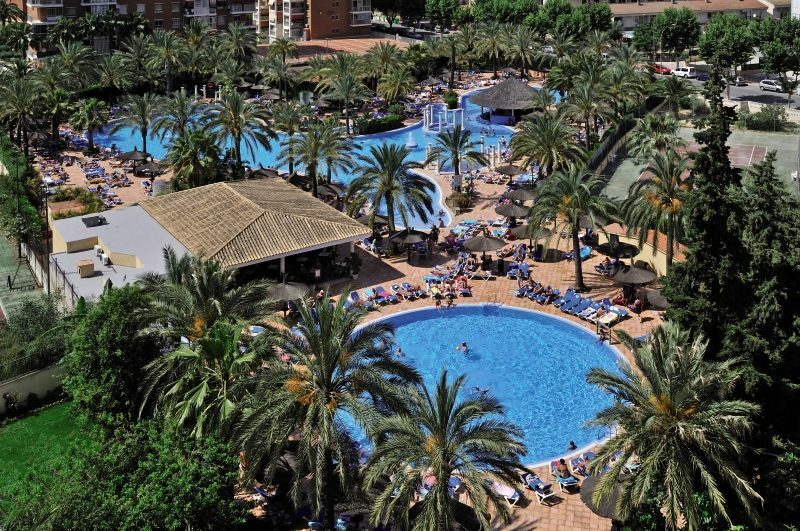 Add in a fun filled entertainment and sports programme and it is easy to see why a holiday at the Sol Pelicanos Ocas is a popular choice with couples, families and friends. 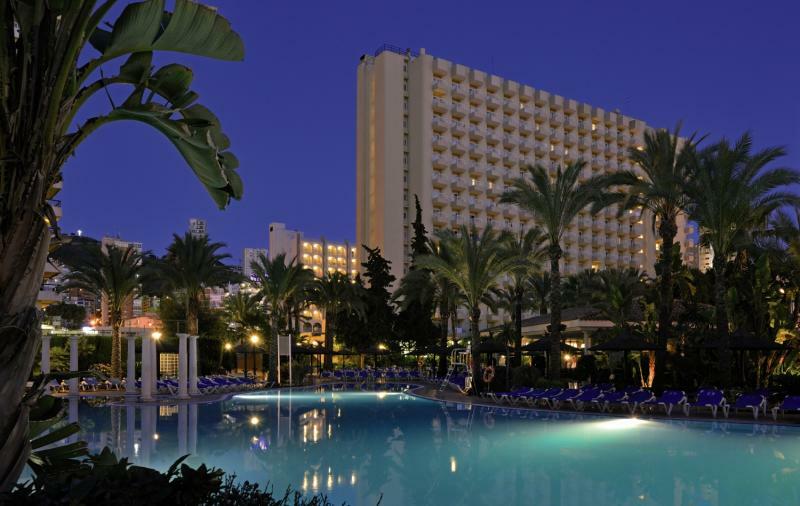 The Sol Pelicanos Ocas Hotel offers guests a good choice of facilities. You'll find two outdoor swimming pools for adults and two for childrens pools, a pool for sports and activities, lagoon style pool with three whirlpools and pool bar (only in summertime). There's also gardens and sun terraces, a gift and press shop, e-point (extra charge) and a cineclub. 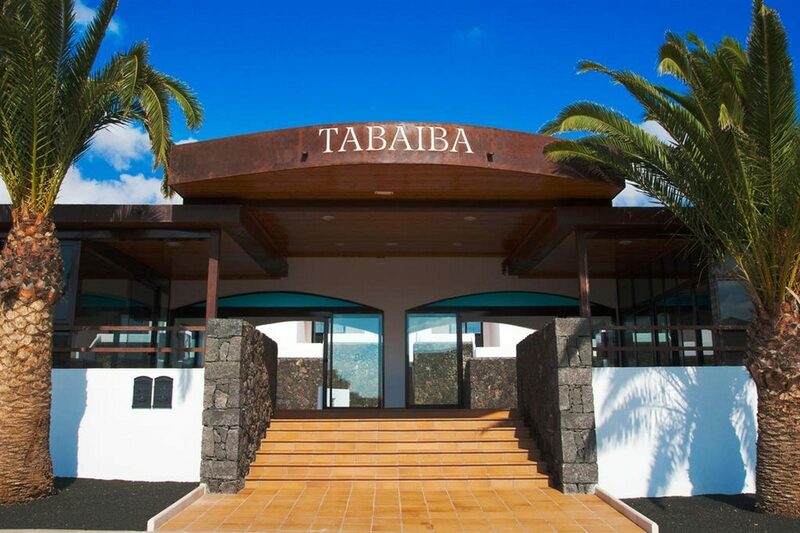 The hotel also offers an extensive daytime and evening entertainment and sports programme with competitions, sports, workshops, cultural activities, orchestra and professional shows. Children have their own Flintstone inspired MiniClub (512 years) with sports activities including zip line, climbing wall, trampolines and minigolf and there is also a playground. 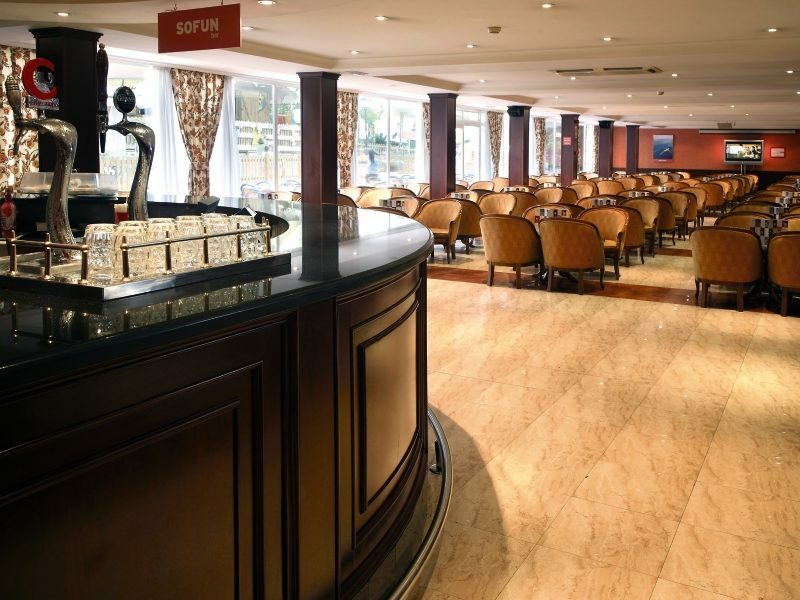 The hotel has two international nonsmoking buffet restaurants, two snack bars, lounge bar and two pool bars (summertime only). Evening entertainment includes competitions, games and live music.